Dr Hazel Everitt is an Associate Professor in General Practice at Southampton University and a GP at Totton Health Centre, Southampton. She undertook her Medical Degree at Bristol University and General Practice training in Bath. She has been involved in research at Primary Care in Southampton University since 1999, completing her MSc in Epidemiology from LSHTM as part of her MRC Clinical Training Fellowship and her PhD in 2006 in the Management of Acute Infective Conjunctivitis in General Practice. She has research interests in the Management of Irritable Bowel Syndrome in Primary Care, the Management of Insomnia in Primary Care and Antibiotics for Minor Illness (particularly Acute Infective Conjunctivitis). 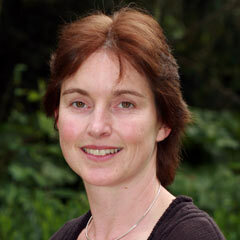 She also has an interest in medical writing and is co-author of the Oxford Handbook of General Practice. Hazel has just completed a feasibility study developing and assessing the effect of a patient self-management cognitive behavioural therapy website and medications for patients with IBS and plans to take the website on to a large trial. Her Insomnia research work currently involves qualitative studies with patients and GPs regarding the management of insomnia in primary care and a Cochrane review of antidepressants for insomnia.